This cd program is dedicated to the solo guitar music composed by Mario Castelnuovo-Tedesco, who devoted great part of his work to the six strings instrument. The performer here undertakes those compositions that didn’t have a place – or they only had a little one- into the repertoire of their famous inspirer – Andrés Segovia. They didn’t actually have the same celebrity of other works by the Florentine master, such as Sonata (Omaggio a Boccherini), Capriccio Diabolico (Omaggio a Paganini), Tarantella, Concerto n. 1 in Re per chitarra e orchestra, Quintetto per chitarra e archi and Platero y yo. That doesn’t mean that the other Castelnuovo-Tedesco’s compositions were less valiant and worthy. Andrés Segovia himself , while praising their beauty and formal perfection, regretted he couldn’t include them into his programs since – travelling a lot for his work- he didn’t have the necessary time to renew his repertoire. Castelnuovo-Tedesco and Segovia met in Florence between 1928 and 931, in the house of Passigli, a patron. Anyway, it was only in 1932, when they met in Venice on the occasion of the contemporary music festival, that the great guitarist asked the already famous author for a piece. Segovia didn’t directly talk to Castelnuovo-Tedesco, but to his wife, Clara, praising her to be his ambassador. The composer was really glad to accept his proposal and, one month later, Segovia, who was at that time living in Geneva, already had the manuscript of the Variazioni attraverso i secoli. 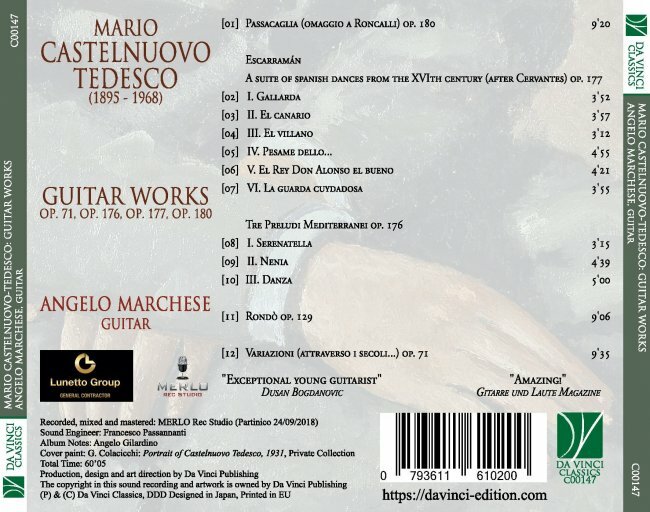 With a great ease, Castelnuovo-Tedesco, by the reading of Variazioni su un tema di Mozart by Fernando Sor and Variazioni e Fuga sulla Follia di Spagna by Manuel M. Ponce- just published- had been able to take possess of the guitar writing and he so imagined his idiomatic coordinates to astonish Segovia, who immediately honoured Castelnuovo-Tedesco’s new work. Segovia really felt at ease with the initial Ciaccona – recalling the Italian Baroque_- with the Schubertian Preludio, with the Walzer full of Viennese moods. But maybe he, who deeply wanted his understimated instrument to gain an ancient and regal dignity- felt a little embarrassed with the final Fox Trot that seemed to have been conceived for a jazz orchestra. And so, between 1934 and 1939, Segovia asked to Castelnuovo-Tedesco those compositions (we have already mentioned before ) that would have accompained him all along his glorious career. And he obviously put aside those Variations ( that he really liked ), because of their impertinent conclusion (that he didn’t like at all) . 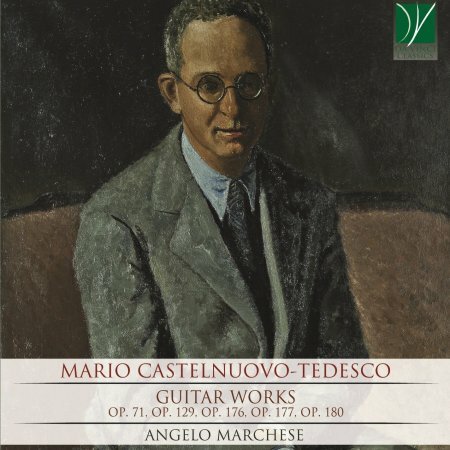 Emigrated into the United States in 1939, and settled in Beverly Hills in 1940, Castelnuovo-Tedesco got back in touch with his guitarist friend (who in the meanwhile had moved to Montevideo). So he started again to compose pieces for him and in 1943 he wrote the beautiful Serenata per chitarra o orchestra da camera, which is unfortunately still neglected. His muse and the Segovian rigid control, moved hin to compose many pages for solo guitar, among which those ones we can listen in this programme. The magnific Rondò was born in 1946. Since the compositions of the previous decade it was just clear that Castelnuovo-Tedesco, in treating an instrument with so restricted polyphonic features, wasn’t willing to renounce to any details of his artistic profile. But it wasn’t enough for him. It was actually writing this piece for Segovia that he reached his apex into the construction of a rondo-form, elevated to the highest degree of architectonic knowledge, with precious marquetries between refrains and strophes. He himself called it his “rondo’ model” that to the perfection of the design joined the fascination of themes and melodic digressions. On the background we can glimpse the shadow of one of the favourite masters of Castelnuovo-Tedesco, Felix Mendelssohn. And the performers are here right in their soft acting, with a barcarolle allure also in the rapid figurations , without any form of inappropriate virtuosity. 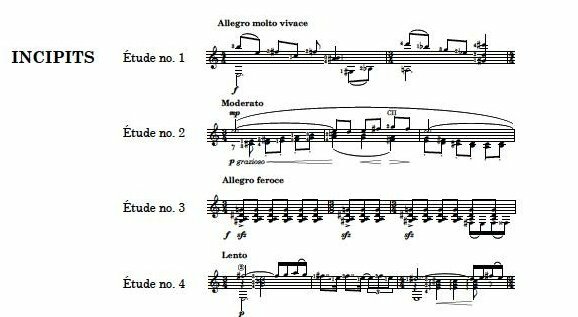 In 1955, the Florentine master composed two works full of fancy and colours: Tre Preludi Mediterranei and Suite of Spanish Dances from the XVI Century (after Cervantes) entitled Escarraman. These three pieces weren’t commissioned to him by Segovia but by the musical publishing. The Preludi Mediterranei were actually dedicated to Renato Bellenghi, owner of Edizioni Musicali Forlivesi; Escarraman was instead commissioned by the New York’s branch of the Ricordi publisher. The Preludi Mediterranei can be defined – with metaphorical license – as “paintings”, and Escarraman is instead a sort of dance arose from literature. poetical origins of Escarraman is instead a little more cryptic. The composer was moved by his dear friend Arturo Loria, a writer, to read the Miguel de Cervantes’ intermezzo, El rufián viudo, in which the great Spanish dealt with the picaresque genre. During a banquet, in which a mournful widower finds his new consort among the approval of less than reputable tablemates, Escarraman suddenly appears. He seems to be able to express is controversial nature of brigand, escaped convict and, at the same time, devoted peregrine marching toward a faraway sanctuary , mainly through his dance skill rather than through the autobiographical description (“This is the tale of my strange history/worthy of being treasured in my memory”). Accompanied by two guitarists he throws himself into the feats of the baile, raising the general wonder. Castelnuovo-Tedesco images the music for this dance, in which popular rhythms and courtly style merge, recalling the splendors of the Spain of the Siglo de oro. In 1956, Segovia asked to his friend to compose a Passacaglia. He was really sad about the ugliness of another Passacaglia written for him by a famous Spanish composer. So he tried to find consolation in Castelnuovo-Tedesco, who helped him with the Omaggio a Roncalli. This title is full of cultural references: Roncalli, Bergamasque guitarist and composer of the end of the XVII Century, was the author of that Passacaglia of which Ottorino Respighi had made a splendid version for strings into the first of his three suites intitled Antiche Arie e Danze per liuto. A story that isn’t Spanish at all but rather mostly Italian….